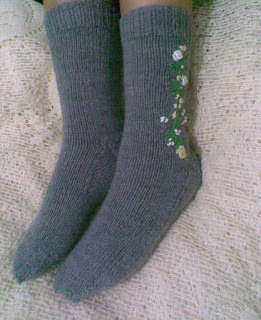 Miss Knitting: Wear them at the same time!!! Wear them at the same time!!! 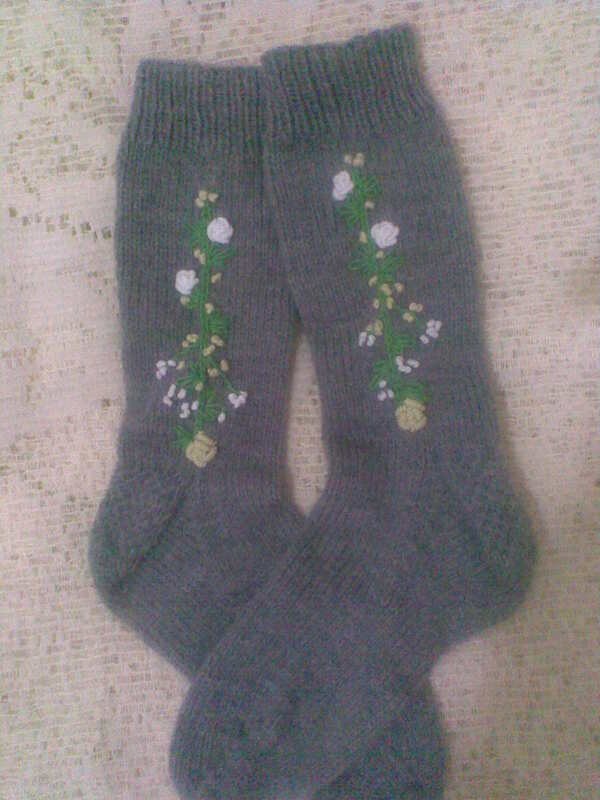 After I have made the two socks, I have practiced my hobby lolll which is the embroidery . 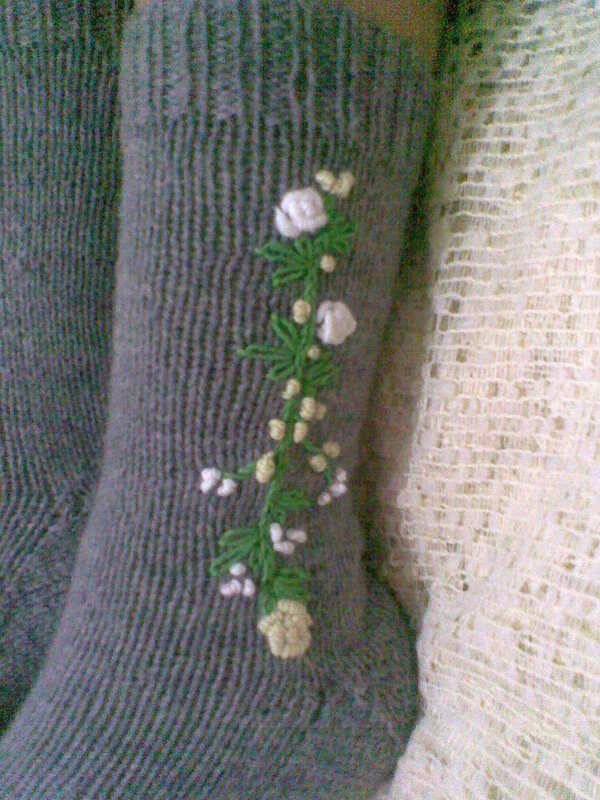 I have designed this embroidery, and its colors too. I have made this sock for my mum. Hope she will like it because she didn't see it yet. It was good experience to gain, and easy to do with one long circular needle. Super Pretty! I love them!